Advent is the season four weeks before Christmas in which we prepare for the coming of Christ. It begins on Sunday nearest to 30th November. Advent is the period of preparation for the celebration of the birth of Jesus and its name comes from the Latin word adventus, which means “coming”. The season also celebrates Christ’s anticipated coming again in the fullness of time to rule triumphantly over life in heaven and earth, as well as the coming of Christ as the infant Saviour whose birth we celebrate at Christmas. And because the season emphasizes Christ’s comings and not just his birth, it’s more than just a time to get ready for Christmas. It is a penitential season but is no longer associated with the strictness of Lent. Nevertheless Advent reminds us that the question is not whether Jesus will return to judge the earth, but when. The season of Advent can be dated back toward the middle of the sixth century. 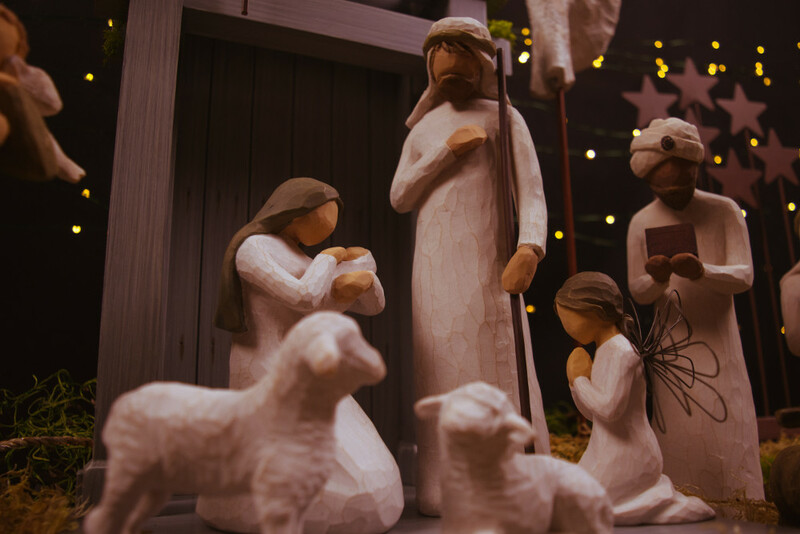 At first, the Advent Season was determined as the six Sundays leading up to Christmas. This was then reduced to present four Sundays by Pope St. Gregory the Great (591-604). This is a message which is clear in the gospel reading today. History, myth, belief and imagery come together to create a vision, the strength of which is not in trying to understand the detail of Christ’s second coming but in catching a glimpse of the message of salvation and healing being completed. We should not spend our time worrying about the timing of God’s arrival or about the distraction of what might happen in the meantime. God’s reign has already broken into our world through the incarnation, death and resurrection of Christ. His Kingdom is near and it is coming, even as it is already arrived but not fully realized. We are to remain watchful, and aware, and to be prepared for the final coming, which is likely to arrive any time that God’s love is shared with uncommon grace in a world so desperately in need of that love. It is through us, and through the very imperfect Church that bears His name that His love and grace continue to come and spread, at Advent and through the Christian year ahead as we look to His coming in glory. There is much about Advent to enjoy, the Advent wreaths found in our churches where they have four candles to be lit each Sunday and one for Christmas Day. But in the midst of our church we know that just as we prepare for Christmas, so we have to make ready to welcome Jesus in our lives. Are you ready for the coming of Jesus? Why do we have an Advent Wreath? During the four weeks an Advent Wreath is traditionally used to represent aspects of spiritual preparation leading up to the birth or coming of the Lord, Jesus Christ. The wreath, typically a circular garland of evergreen branches, is a symbol of eternity and unending love. Five candles are arranged on the wreath, and one is alighted each Sunday as a part of the Advent services. Each of the Advent Candle colours represents a specific element of spiritual readying for the celebration of Christmas. Set on the wreath are four candles: three purple candles and one pink candle. In the centre of the wreath sits a white candle. As a whole, these candles represent the coming of the light of Christ into the world. On the first Sunday of Advent, the first purple candle is lit. This candle is typically called the “Prophecy Candle” in remembrance of the prophets, primarily Isaiah, who foretold the birth of Christ. This candle represents hope or expectation in anticipation of the coming Messiah. Each week on Sunday, an additional candle is lit. On the second Sunday of Advent, the second purple candle is lit. This candle typically represents love. Some traditions call this the “Bethlehem Candle,” symbolizing Christ’s manger. On the third Sunday of Advent the pink, or rose-colored candle is lit. This pink candle is customarily called the “Shepherds Candle” and it represents joy. The fourth and last purple candle, often called the “Angels Candle,” represents peace and is lit on the fourth Sunday of Advent. On Christmas Eve, the white centre candle is traditionally lit. This candle is called the “Christ Candle” and represents the life of Christ that has come into the world. The colour white represents purity. Christ is the sinless, spotless, pure Saviour. Also, those who receive Christ as Saviour are washed of their sins and made whiter than snow. 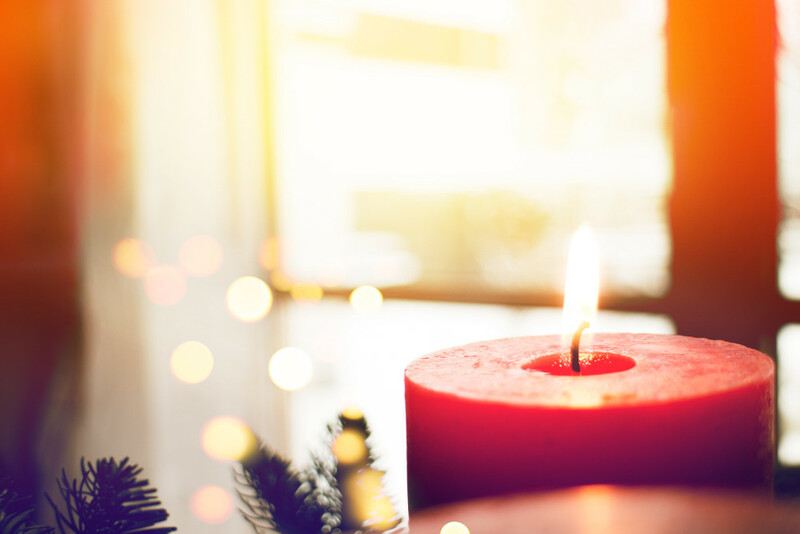 Celebrating with an Advent wreath during the weeks prior to Christmas is a great way for Christian families to keep Christ at the centre of Christmas, and for parents to teach their children the true meaning of Christmas.